QuarkXPress is a high-end professional page layout program similar to Adobe InDesign. It has an enormous number of options and capabilities available for complex document construction. 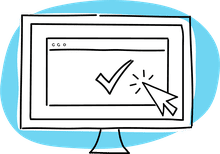 Among them is the ability to automatically number the document pages in the style you designate when the proper page numbering code is placed on the Master Pages of your document. In QuarkXpress, Master Pages are like templates for document pages. Anything that is placed on a Master Page appears on every document page that uses that Master. Here's how to set up automatic page numbering using Master Pages. 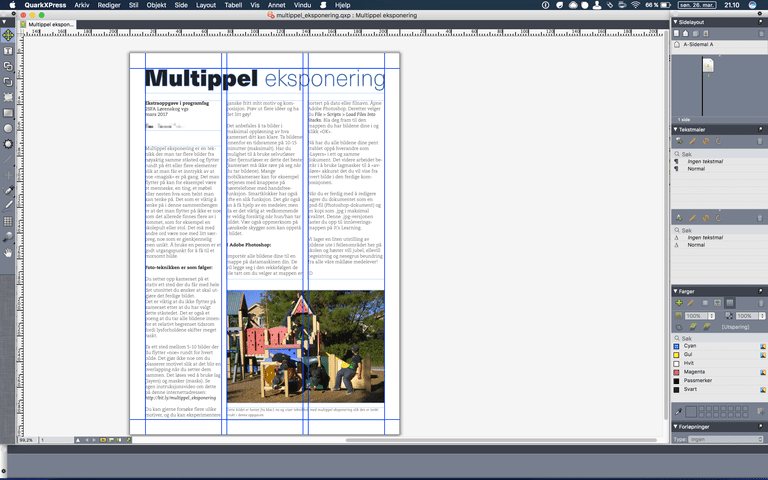 Create a new single-page layout in QuarkXpress. Choose Window > Page Layout to display the Page Layout palette. Note that the default master page is named A-Master A. It is applied to the first page. Drag the Blank Facing Page icon from the top of the Page Layout window onto the master page area. It is named B-Master B.
Double-click the B-Master B icon to display the two-page blank master spread. Draw two text boxes on the spread, positioned where you want the page numbers to appear. This is often in the bottom left and right corners of the spread, but the page numbers can appear wherever you want. Click on each of the text boxes with the Text Content tool and select Utilities > Insert Character > Special > Current Box Page # to insert a character that represents the current page number in the document layout pages. Format the character in the text box however you like using the font, size, and alignment that works best for the page design. You might want to add text or embellishments in front of, behind or on both sides of the character that represents the page number. As you work on your document, apply the Master Spread to the text pages so they reflect the correct automatic numbering sequence. Elements on Master Pages are visible but not editable on all pages. You'll see the actual page numbers on the document pages.